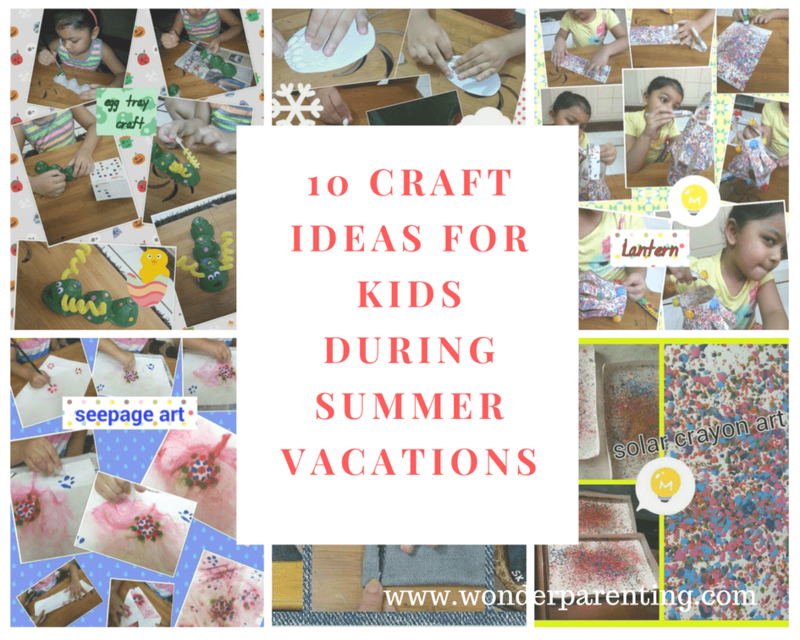 Summer vacations sound so good for all the kids. No fixed routine or no school and ample time for fun with family and friends, visiting grandparents. 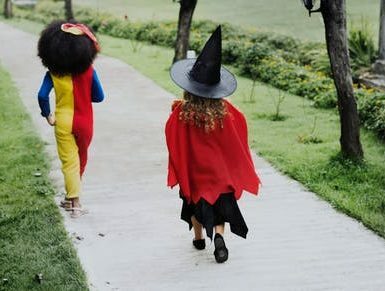 But when you will be a parent, it is not that perfect as it sounds. Kids can’t play outside for too long due to hot weather. “Mom, I’m bored!” is a phrase which you hear at least 10-20 times a day. 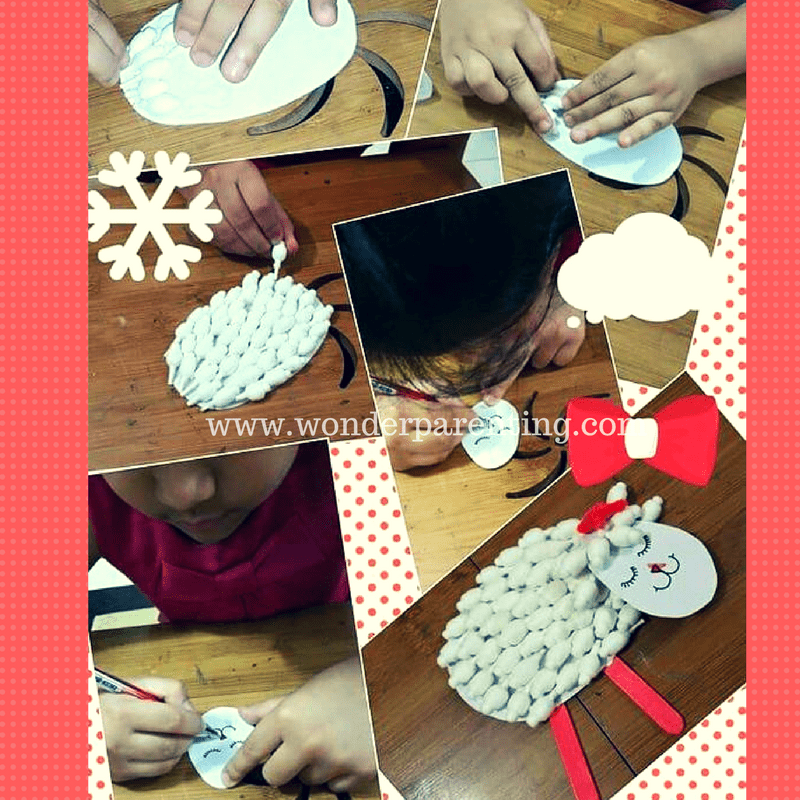 But do not worry as we are going to discuss few craft ideas for kids. 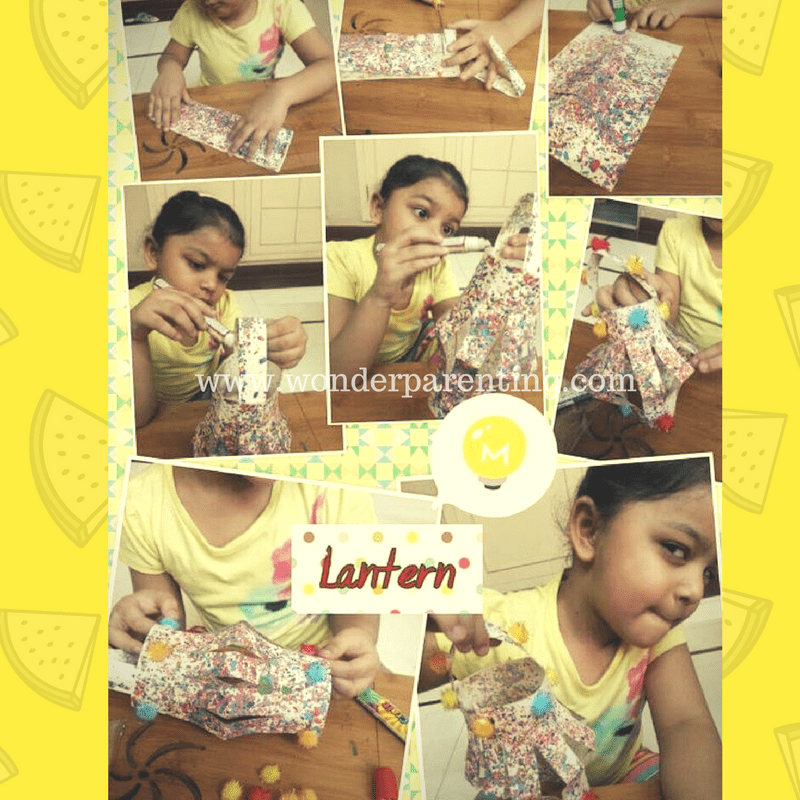 Let us start with a few craft ideas for kids which can be easily done with the help of material already available at home. Take 4 colorful straws which are used for drinking shakes and smoothies. Cut them into pieces of the same size (1 -1.5 inches). Take a thread or fashion string or wool and few wooden buttons or beads. 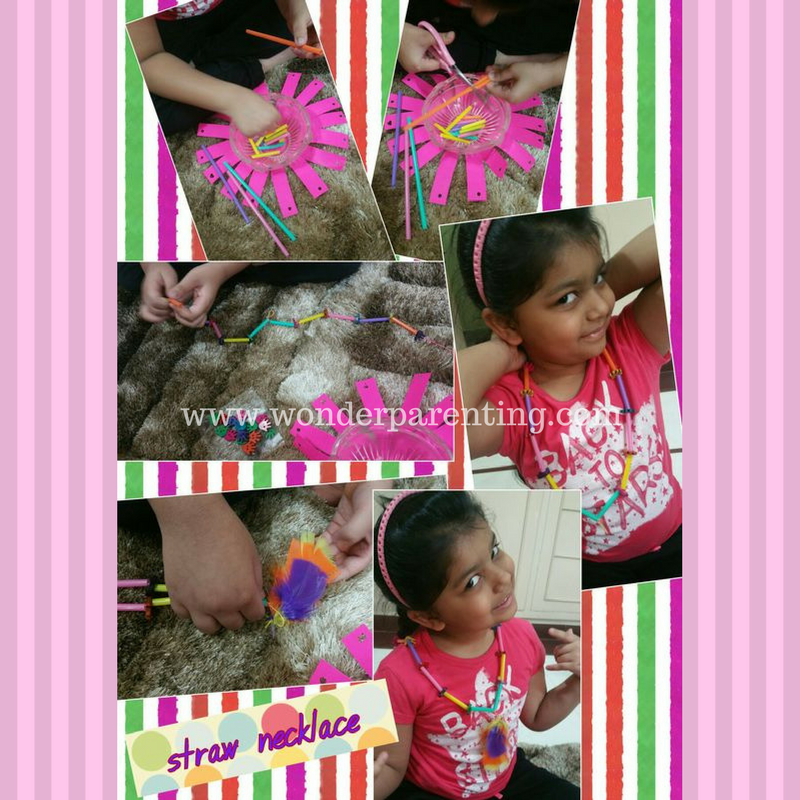 Arrange the pieces of straw and beads alternatively to make a straw necklace. You can also attach few feathers in the center to give it a pendant look. Everybody has old and broken crayons lying in their drawer. Time to clean up the messy drawer with your buddy and take out those old crayons. You can make a craft paper or gift wrapper using these. Take a big white sheet and grate crayons over it. Make sure it sprinkles all over the sheet to cover it nicely with the multi-colors spread. Now keep this sheet under the sun to melt. I preferred to keep it on our car, which also gave it immense heat from below. For impatient kids, you can also microwave the sheet for 2-3 minutes. 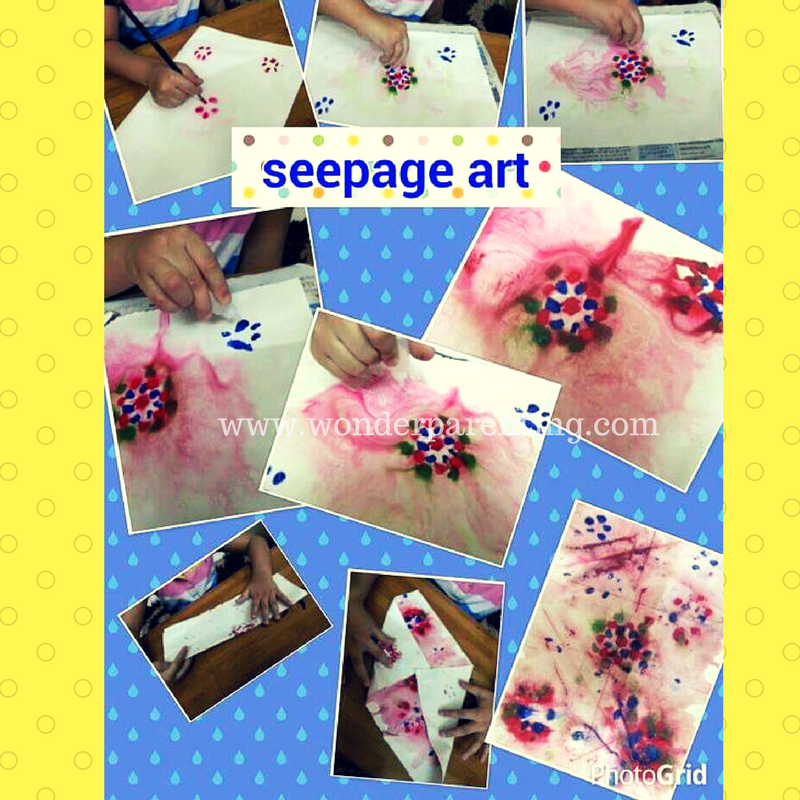 You will need a paint brush, painting colors, white paper and a water dropper for this art. With the help of a paintbrush, put five dots with a color to make a flower shape. With another color, put a dot in the middle of the flower. 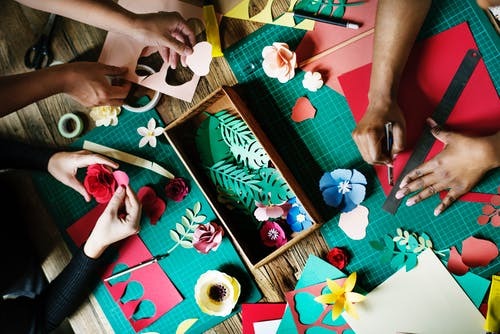 Make as many colorful flowers as you wish. Now while the color is still wet, put drops of water in the center of each flower. 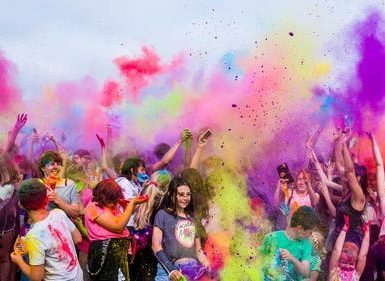 You will love the mixing of colors. Note: Make sure to put a plastic sheet under the white paper to avoid the mess. 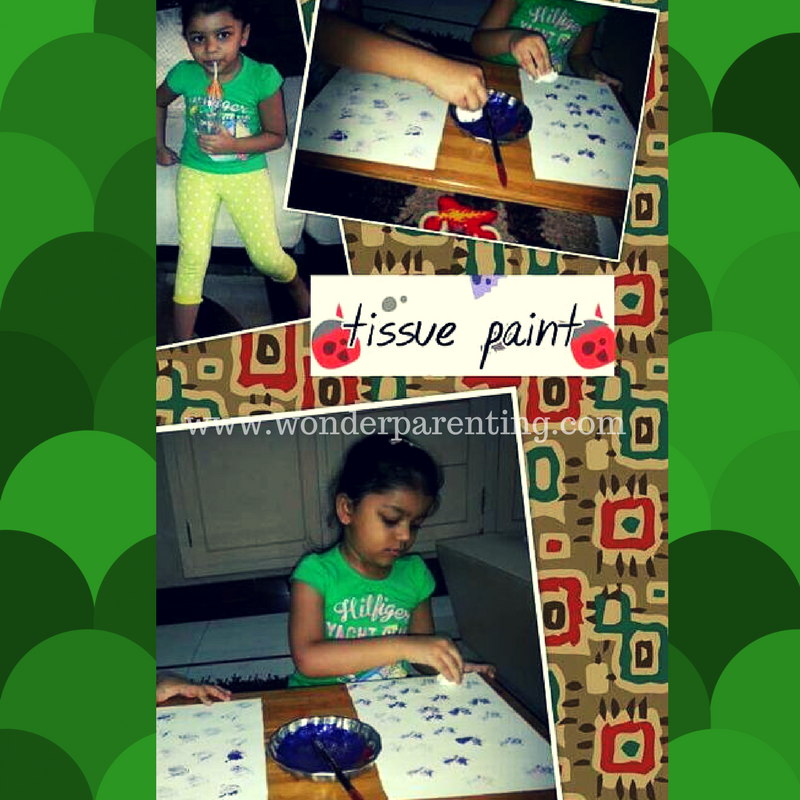 Pour some color in a palate, crush a tissue paper in a small size of a ball. Now put this crushed tissue paper onto the color and then make impressions with it on a white paper. This can later be used as a gift wrapper or a craft paper. 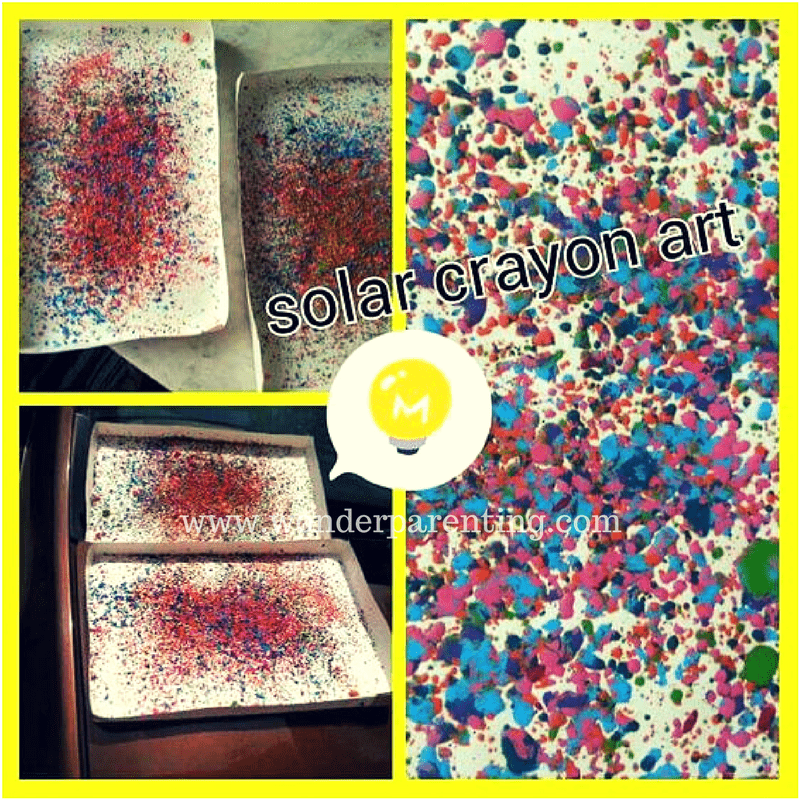 Take a thick paper, I used the craft paper which I made (in 2 above) using solar crayon art. Fold the paper in half and cut along the fold to make two rectangles. Fold one rectangle in half so that long sides meet. Make cuts into the folded side leaving the ends. Take out one narrow strip to make the handle. Open the folded paper and spread glue along the edges and press it firmly. Stick the handle on the lantern and decorate it with pom-poms. Sponge-fly! Yes, I gave it a name to a butterfly made up with a sponge. Take a rectangular sponge which is generally used for cleaning. Make big colorful dots over it using watercolor tubes. Now tie up a sparkling pipe-cleaner in the middle to give it a butterfly shape. Make it spiral from the top to make the antennae. Stick two googly eyes and decorate the wings with material available in your craft box. Time to use old earbuds which you no longer want to use. You also need 2 ice-cream sticks and a small ribbon bow. Cut two ovals from a paper, one big for the body and another for the face. Cut the ends of the earbuds and paste it on the big oval to make a wooly body of a sheep. Behind it stick two colored ice-cream sticks to make its legs. Draw a face with a permanent marker on the small oval. Paste few cut pieces of earbuds on its head and stick a ribbon-bow to complete the cute face. Now join the face with the body with the help of glue. Here it is ready to give you wool! Again you will be having a few pairs of denim in your wardrobe which are of no use now. Let’s make some pouches using the same. 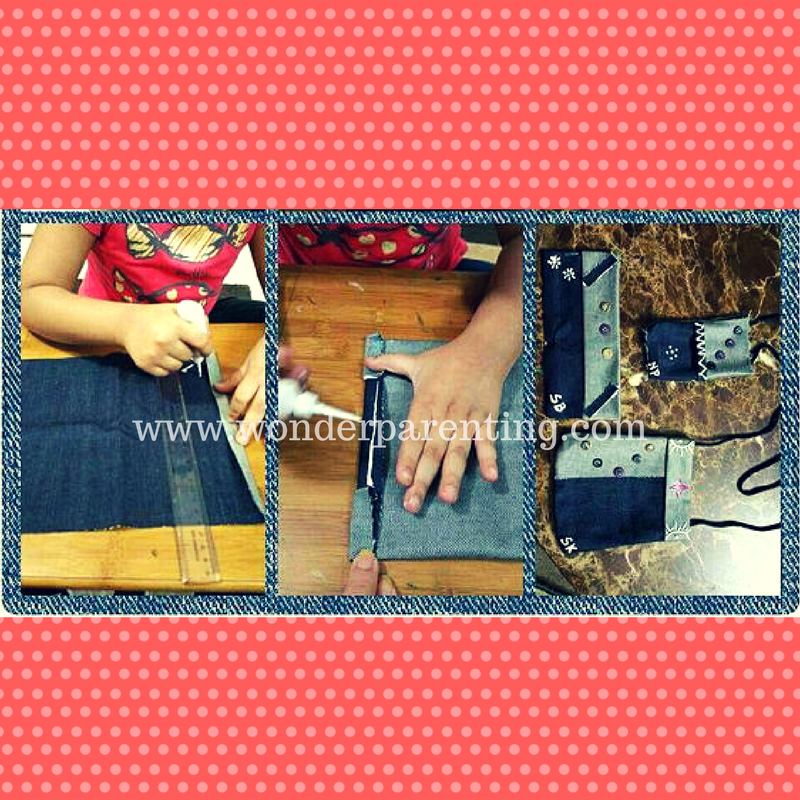 Cut the denim fabric according to the size of the pouch you want to make. Fold it and paste it with super glue. 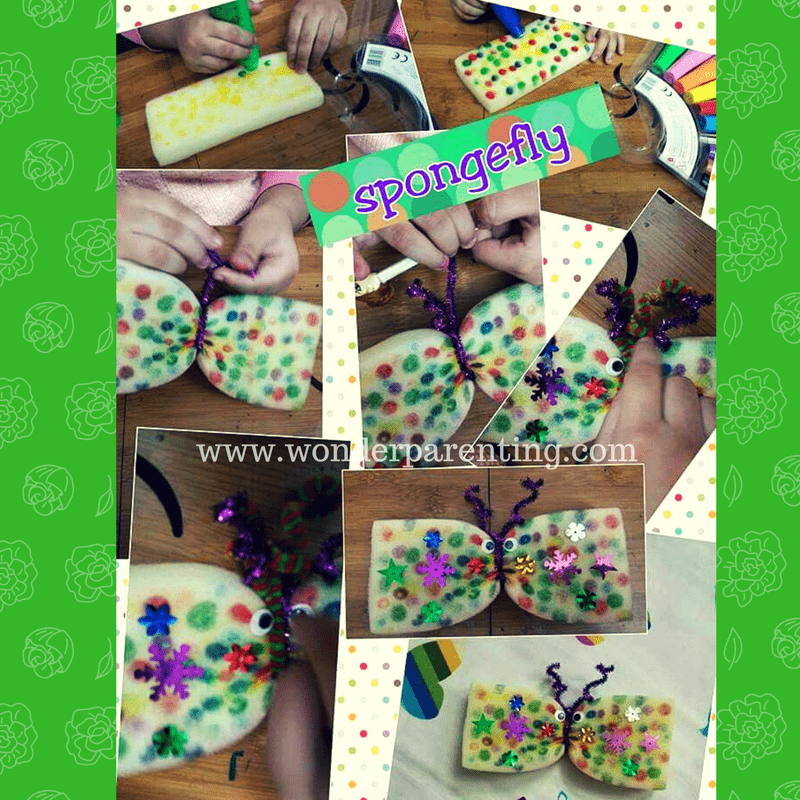 Decorate it with buttons and attach a shoe-lace or a thick thread to make its sling. Eating eggs is healthy and creative too. Take an egg tray and cut as long as you want your caterpillar to be. Paint it with dark green color with help of a thick paintbrush. Let it dry and stick colored dot stickers on it. Make two holes on its head and insert pipe cleaners. Make spirals of pipe cleaners by wrapping it onto a pencil. Stick two googly eyes and draw its mouth. Hey, is it looking at you or me! 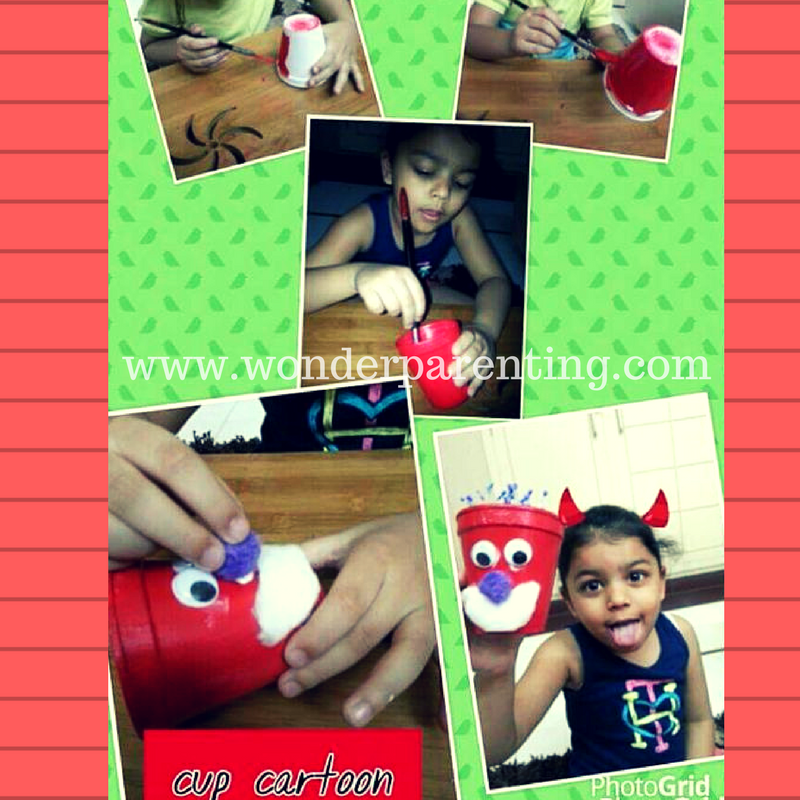 Take a disposable cup and paint it inside and outside with a thick paintbrush. Mix watercolor and glue before painting. Let it dry and use googly eyes and a pom-pom to make its eyes and nose. Finish the face using cotton for its mouth. Stick flower craft pips inside the cup to make its hair. 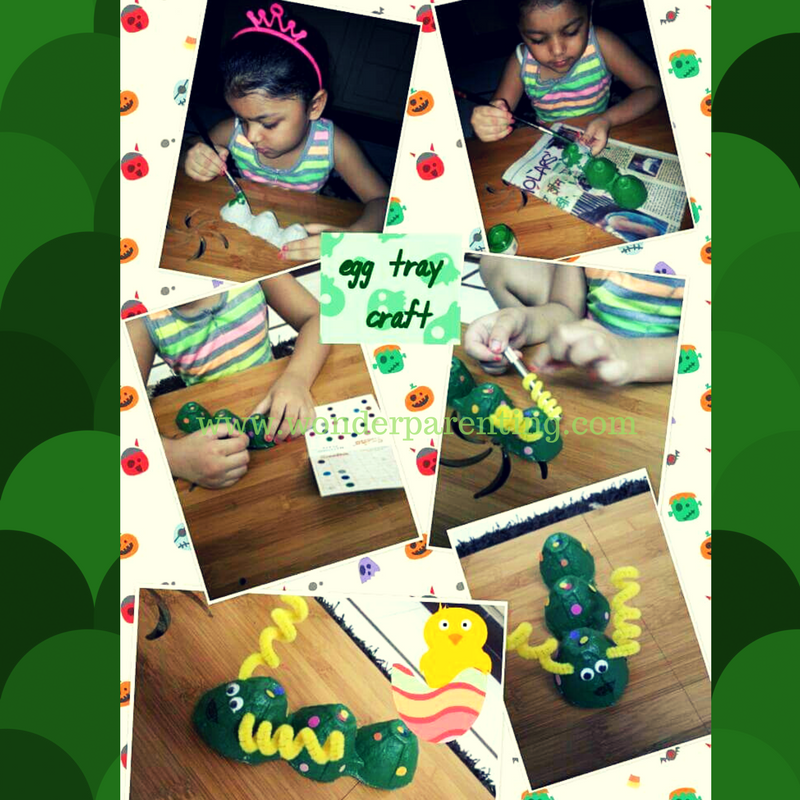 Did you like these craft ideas for kids? 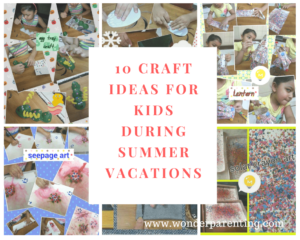 Which are your favorite craft ideas for kids? What are you waiting for? Start making one each day and give us your feedback in the comments below.